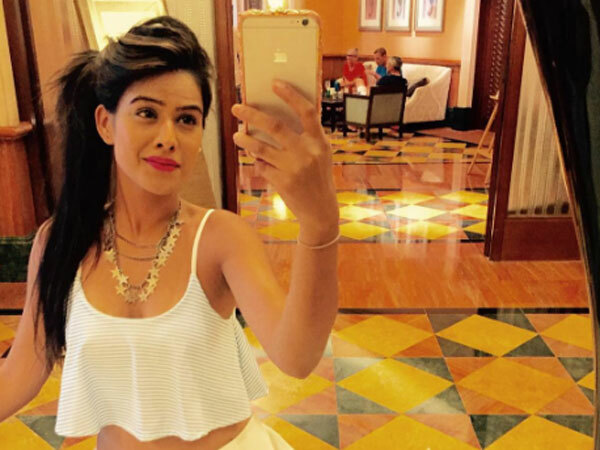 Taking to her Instagram account, Nia Sharma posted the photo with a caption that read, “Because '2018' should arrive in style bro!”. TV actress Nia Sharna, who has been voted as the second sexiest woman in Asia, has one again proved why she deserves the title than anyone else. Losing the top slot to Quantico star and Bollywood actress Priyanka Chopra, Nia bagged the second spot ahead of last year’s winner Deepika Padukone in the list of Sexiest Asian Women 2017. The Jamai Rja fame actress, who is always at her fashionable best celebrated the new year in style. Dressed in a white fur top, red glasses and red-hot knee-length boots, Nia looked every inch of a diva that she is. She looked sizzling in the attire as she posed on the bed. Nia recently played the lead in Vikram Bhatt’s Twisted in which she played a bold character. Her kiss with a female co-actor in Twisted also became the talk of the town. Nia also participated in Fear Factor: Khatron Ke Khiladi 8 and we had fun just looking at her having fun. Nia was recently trolled for sporting a striking blue lip colour but she gave it back to her haters like a boss. The lady shared some more pictures wearing the same shade shunning the trolls. Nia shared a picture from her Halloween party and captioned it as, “When someone asks me to go easy on my choice of lip colors#subtlelook @rishabskhanna.